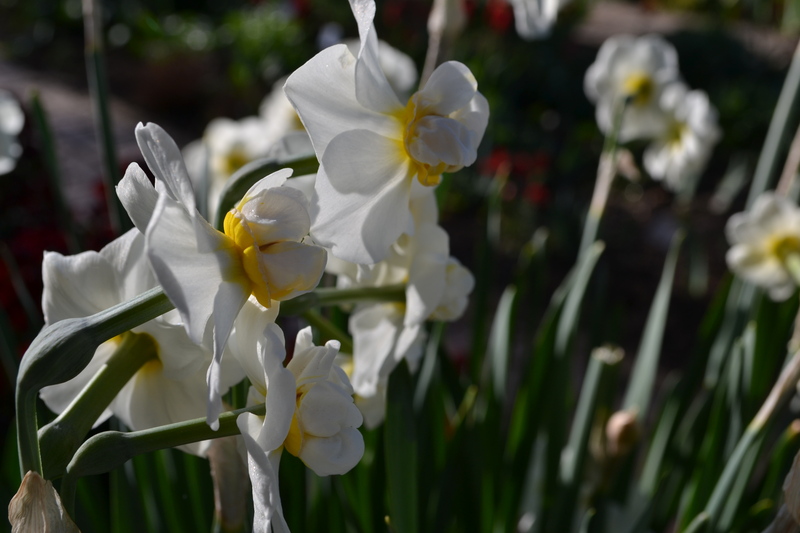 The daffodil must be one of the most quintessential flowers that we associate with springtime. 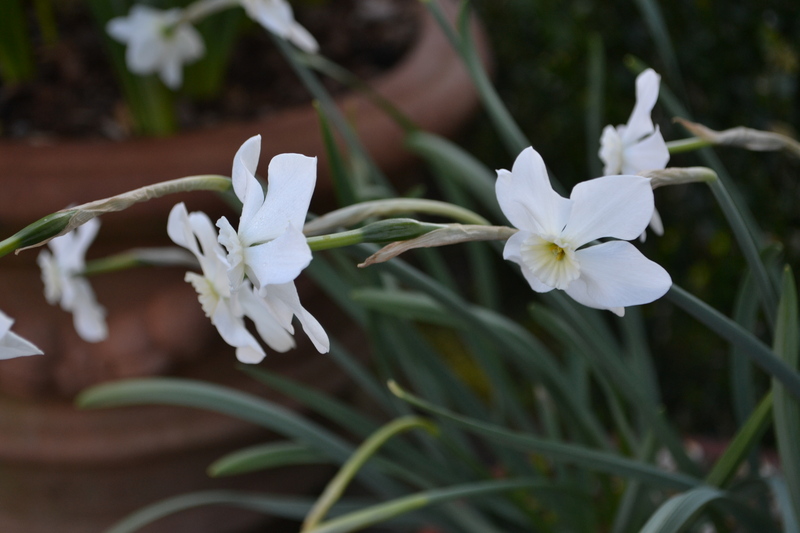 At Sissinghurst there are many to admire, but here are a few I have chosen as my ‘top five’ narcissus from the garden. You can find this growing in the Lime Walk, towards the Rose Garden end. I like this particular daffodil because of the subtle coral pink colouring of its trumpet set against the pale outer petals. A newspaper article I recently read by Noel Kingsbury (‘Old Gold’ March 21, 2008, The Telegraph) describes how this particular daffodil derives from early breeding (pre 1921) between the British native N. pseudonarcissus and the taller, later flowering N. poeticus to produce this pinkish variety. Next on my list is Narcissus x odorus. Bearing the common name ‘Sweet scented Jonquil,’ it gives you a suitable clue as to why I chose this dainty little daffodil. The scent is very noticeable and because of its placing in an individual pot, rather than becoming lost within a large border, you can really get close enough to enjoy it. The next one is also very good in a pot. 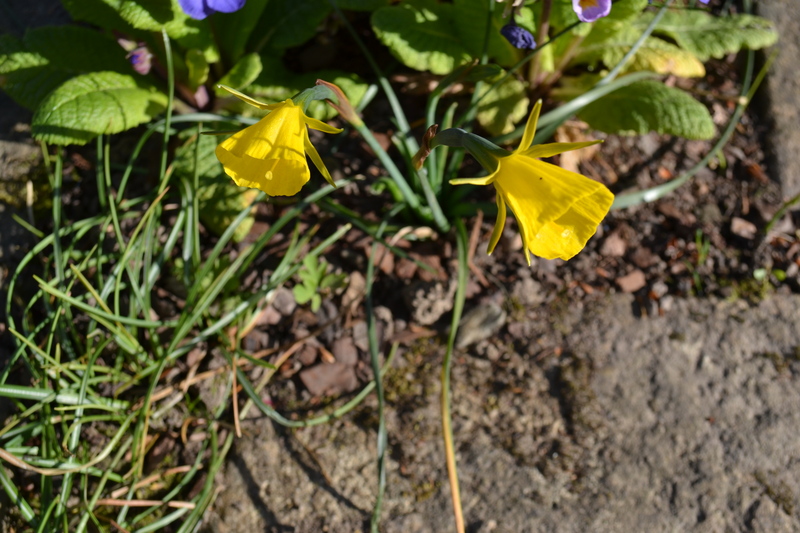 Narcissus ‘Xit’ is small and delicate and has a very flat open flower. A loam and shade loving specimen and an unusual hybrid of N. watieri. 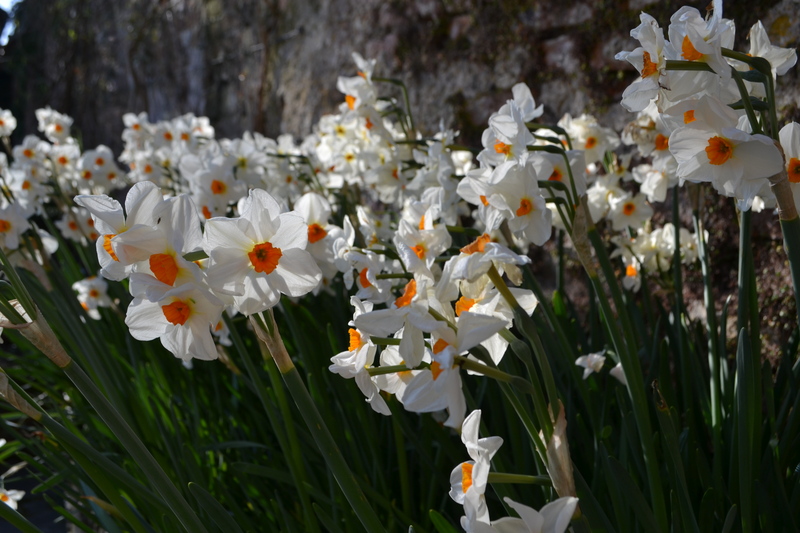 Narcissus ‘Cheerfulness’ is also another well-scented daffodil. This cultivar is particularly tall and displays a double flower too. Again, this bulb has been planted in pots. I think the height is useful to create impact, but without the disadvantage of a large, top heavy flower that can tumble beneath its own heavy burden. My final choice, simply because I like its old-fashioned appearance and the way it looks when planted en masse in a larger container, is N. ‘Cragford’. As you can see it has white outer petals and an orange centre, which here in the ‘Sunk Garden’, look appealing against the brick backdrop. I hope you enjoy my small selection. One last sneaky addition though… N. bulbocodium, because it works so well in tiny spaces, as it does here in a small square down the Lime Walk path.